Thomas Jefferson Visits Virginia Mills | slate river ramblings . . . .
Thomas Jefferson had many occasions to visit Buckingham County. As a young lawyer, he took cases that were based in Buckingham. In 1776, his only brother, Randolph, became heir to Snowden, located at the Horseshoe Bend at the northern tip of the county. And, in 1797, Thomas’ daughter, Maria, married John Wayles Eppes and they lived at Millwood in southern Buckingham. In January of 1811, Thomas Jefferson made an unusual trip to Buckingham, to study the operations at Virginia Mills on the Slate River. There he met with owner Charles Alexander Scott and spent the night. The next day, Jefferson rode across northern Buckingham, crossing the James River at Scott’s Ferry. From there, he continued on to Warren and, then, to his home in Bedford County, Poplar Forest. His memoranda for January 28, 1811 does not indicate that he purchased a mid-day meal. Perhaps, that day, he was entertained at Snowden by his brother and his wife, Mitchie (Pryor) Jefferson. Learn more about Thomas Jefferson’s visits to Buckingham County in The Jefferson Brothers. ← Postmaster Samuel L. Burks, Jr.
Could you please research the connection between the Andersons of Andersonville, Va. and the Pattersons. I was told that my grandfather on my father’s side was the son of a slave. His father was named Ivy Patterson. 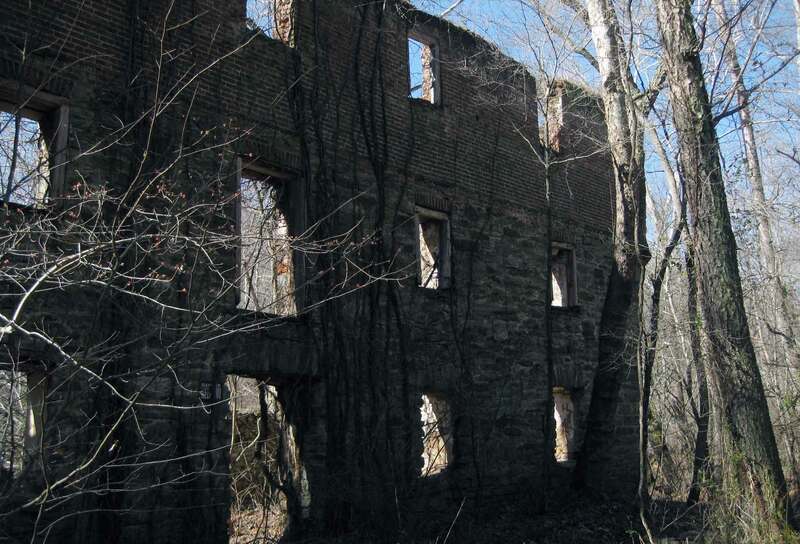 Buckingham Mills: Virginia Mills | slate river ramblings . . . .